Who is White Birch Design Company? We are a family of 5 that lead crazy busy lives. Probably just like you! My name is Darcy DeBord, founder, principal designer, wife, mother of three, and now a shopkeeper. Along with my husband, Ben, we have owned White Birch Design Company for 13 years. Between the two of us we have designed, built and renovated homes, created furniture, tablescapes, wholesale booths and organized countless events and fundraisers. I guess you could say we love being apart of the world of design and creation. However people who know us, would say we ALWAYS have a project in mind! Our business model has always been helping clients create beautiful spaces and designs, not just for their homes, but also for their lives. Thankfully we have found a little niche in our community and through fun projects, hard work, and some word of mouth, we have created a business that we could be proud of. 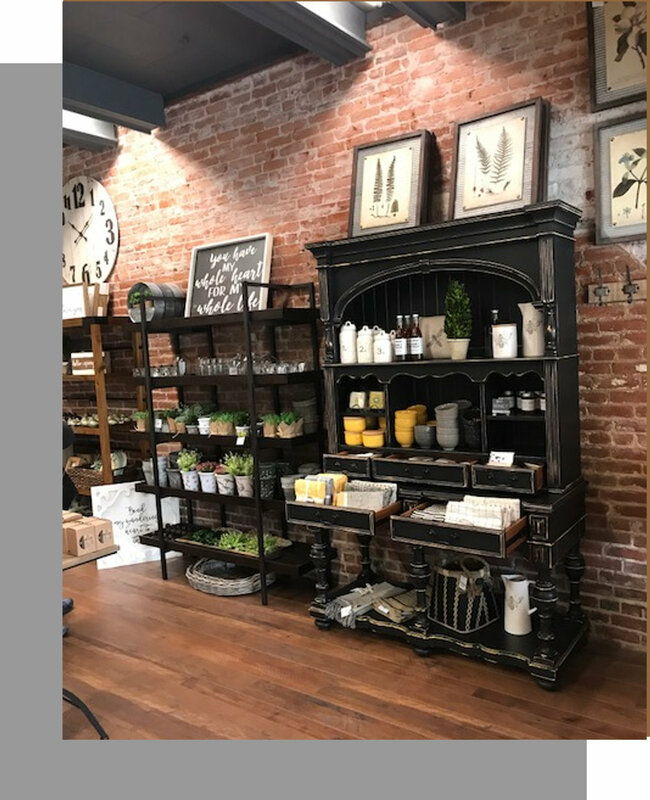 When we decided to open the shop we knew we wanted to be in a downtown district that was rich in history but ready to revitalize and grow. A place that supported small businesses and had a sense of community. We work in Hillsboro, our kids have grown up here, and we have seen the town grow and prosper over the past 20 years. We look forward to growing our business here and helping to create beautiful designs in all things "home".